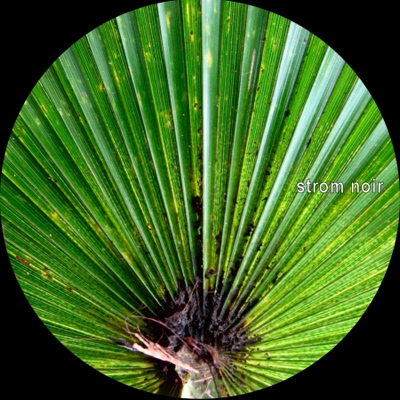 I think that the most notable and even remarkable aspect of this album, created by Strom Noir and presented by Ta’alem, is the brittleness of it, and the soft delicate sounds it produces. The three tracks, all icy and sharply penetrating the ears of their audience, are doing so with beauty and slow elegance, until the point where the listeners might suddenly realize they are listening not only to the gentle sea of colours that are being promised through the album, but also to a vibrant, radiant and painful, even if for a little while. To me, as Strom Noir is sending forth these harmonic, heavenly sounds through the cold air, it is hard to interact with them on a personal level, and all that is left for me is to appreciate their distant, miraculous presence like that of angels on Byzantine paintings. This world of sounds present itself like a magical phenomena, like an aurora borealis, only to leave the listener in awe from afar, witnessing these cradling, compassionate and cavernous sounds. And it is a beautiful vision.